BREXIT IS AROUND THE CORNER! Do you need a Certified Translation? The UK is scheduled to leave the EU at 11pm UK time on Friday, 29 March 2019. A European court has ruled that the UK can decide to stop the process. Alternatively it can be extended if all 28 EU members agree, but at the moment all sides are focusing on that date as being the key one, with or without a deal. If you’re an EU citizen, you and your family will be able to apply to the EU Settlement Scheme to continue living in the UK after 30 June 2021. Even if you have a Permanent Residence document, you must still apply for settled status. If your application is successful, you’ll get either settled or pre-settled status. You may refer to the Government website for eligibility criteria. If you are granted settled status, you will be able to stay in the UK indefinitely (provided you don’t spend more than five consecutive years outside the UK). You may apply for British Citizenship, work in the UK, study in the UK, use the NHS, and access public welfare programmes. Family members may join you with a Family Visa. Remember that when submitting documents to the Home Office or any other UK government institution, you will need to provide a certified translation of any documents that are not in English or Welsh. At Baraka Certified Translations, we provide certified translation service every day for all type of legal and official documents. Baraka’s certified translations are accepted by UK authorities, including the Home Office. English, Italian, French, Arabic, Spanish and Portuguese. ✓ Scan your documents to PDF or any image format. ✓ You will easily pay online. ✓ Once payment is received, the deadline for completion of your translation will usually be 24 hours. ✓ When complete and approved, your Translation and Certificate of Authenticity are stamped, embossed, dated, signed and posted to you. For complete peace of mind, our certified translations could be returned to you using the Royal Mail Special Delivery service, ensuring that you receive your certificates as quickly as possible. If you’re living in the UK as an EU resident or are here on an eligible visa, don’t wait until the last minute to deal with the post-Brexit bureaucracy. Get your papers in order; call Baraka Certified Translations today, to translate the official documents you need! Please note: At Baraka Certified Translations, we offer certified, legally accepted translations of the official documents needed for your application. Unfortunately, we cannot offer legal advice about how and when you should apply. In the UK, it is illegal for anyone to provide legal advice to individuals unless they are accredited with OISC/LSC (the regulatory bodies of immigration advice). Hello from Baraka Certified Translations! Please note that any emails received at barakatranslations@hotmail.com will be automatically forwarded. Therefore, if you prefer to stick to the old address, don’t worry, you are welcome! All telephone numbers for Baraka Certified Translations will remain unchanged. Price Guarantee! -10% on the second document. At Baraka Certified Translations we are offering a Price Guarantee! Do you have many children, and you need to translate all their birth certificates for the Home Office? Do they ask you to translate your marriage certificate, as well as the birth certificate of your new baby, for the Consulate? Scan your documents to PDF or any image format, and send us an email at info@barakatranslations.com, quoting the code “10%BARAKA” to receive a 10% discount on the second document. Look no further for your Certified Translation! We cover the whole UK and beyond. For a free quote, please contact us today! Getting a ‘UK spouse visa’ to live in the UK? Are you married to a British citizen or a person with a permanent right of residence in the UK? Do you wish to make the UK your home and be permanently reunited with your family? If this is the case, you may wish to apply for what is known as a ‘UK spouse visa’. For complete peace of mind, our certificates could be returned to you using the Royal Mail Special Delivery service, ensuring that you receive your certificates as quickly as possible. Inshaa Allah we will be closed from Monday 20th August until Wednesday 22nd August 2018. We will open as usual on Thursday 23th August 2018. Eid Mubarak to you and your families! I am pleased to announce that I am now an Associate Member of the Institute of Translation and Interpreting (ITI), “the UK’s only dedicated association for practising translation and interpreting professionals”. 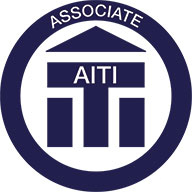 In order to become an associate member of the ITI, I had to provide the association with several references to vouch for my level of language and subject knowledge, accuracy and presentation of my translations and adherence to deadlines. As a member of the ITI, I work in accordance with the ITI’s Code of Professional Conduct. We’re proud to announce the launch of our new logo as part of the ongoing evolution of Baraka Certified Translations. Established in 2012, Baraka Certified Translations is today one of the most well known translation agencies in the UK. Our Agency has grown and evolved over the last 6 years, and now it is time for a change. We have altered our logo to reflect who we are today and to symbolize our dynamic future. Jazakallahu khayran, thank you very much to Brother Usman Chaudhary for our new amazing #LogoDesign! The Decree Nisi is the final part of the divorce process which officially terminates a marriage. In legal terms, a couple are still married until the Decree Nisi has gone through and becomes a Decree Absolute. This has now been replaced by a single final divorce order in modern divorce proceedings. The Decree Absolute is the legal end of a marriage that allows the two individuals to legally remarry. It usually follows the Decree Nisi, which is issued six weeks beforehand, but in modern divorce proceedings this has been replaced by a final divorce order. If you are an EU national, you need a Certified Translation of your Decree Absolute, to register your Divorce at your Consulate. At Baraka Certified Translations, the price for your Decree Absolute Certified Translation is £45. Please scan your document to PDF or any image format. Wherever your wedding takes place, legal use of that marriage certificate in another country requires it to be in the language of that country. A certified translation means it has been performed by a professional qualified translator, and accurately reflects the original. At Baraka Translations & Services, we certify in-house, with our embossed seal, stamp and signature. Our Marriage Certificate Translations are accepted by UK authorities, as well as Consulates. Our prices are very competitive and include proofreading, official Certification and postage to any UK address (always by recorded delivery as standard). The standard price for a Marriage Certificate is £30. Fully recognised by UK authorities, including Home Office, NHS, HMRC, as well as Embassies and Consulates. You will need to check with the country requiring the certified translation whether it needs to be legalised by the Foreign and Commonwealth Office (FCO). If this is the case, Baraka Translations also provides a complete Legalisation (Apostille) Service to enable UK Documents to be correctly accepted overseas and from Embassies and Consulates. 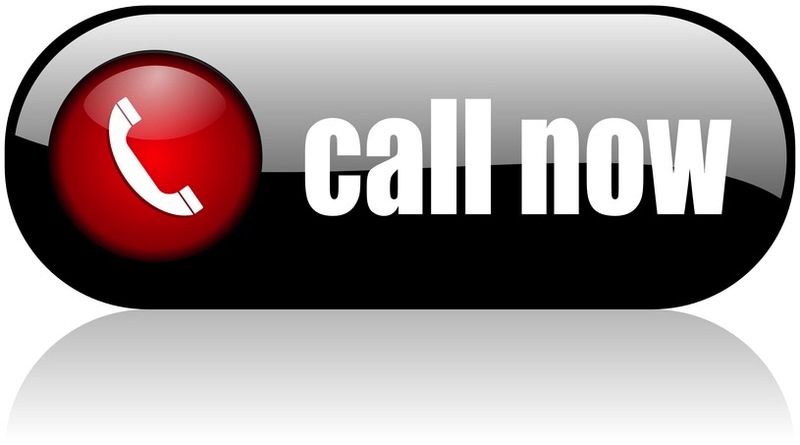 For a free instant quote, please contact us today!